The Japan International Boat Show, the largest exposition in the Japanese marine industry, will next be held over the four days of March 7 to 10, 2019. Gathering over 200 exhibiting companies and organizations, the event features not only the latest motorboats, sailboats and personal watercraft (PWC) models on display, but also offers up-to-date marine leisure information for the 2019 season, covering facilities like marinas, boat operator licensing, navigational instruments and devices, marine wear and more. 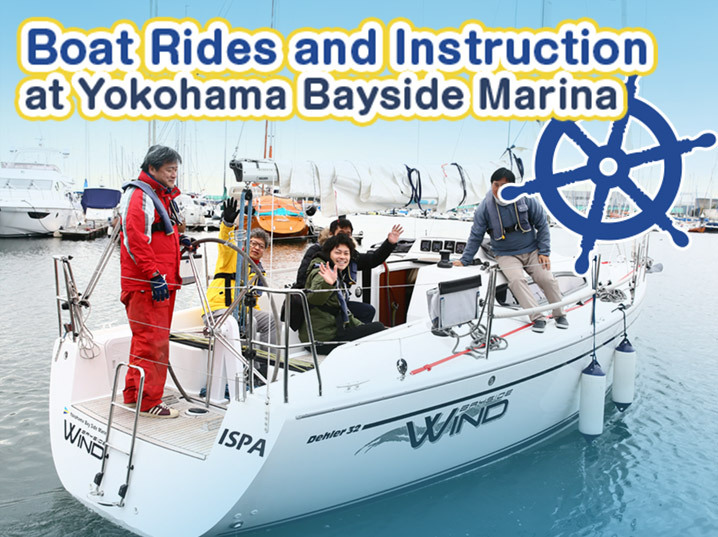 We look forward to seeing you at the Pacifico Yokohama and Yokohama Bayside Marina! 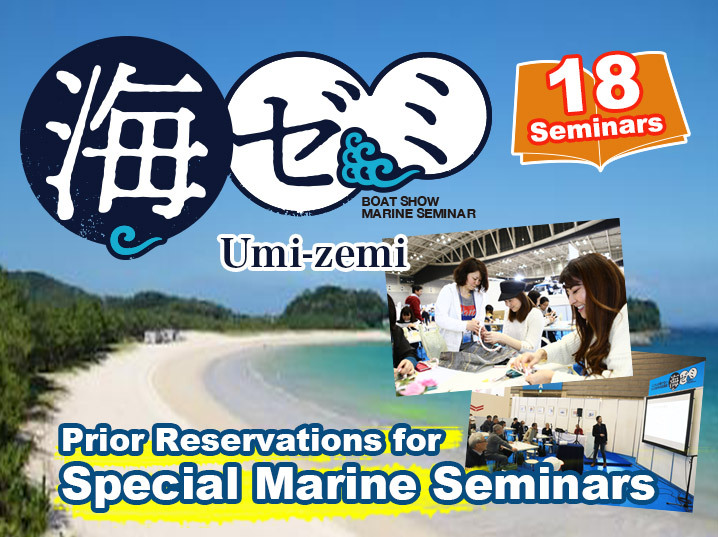 Umi-zemi Marine Seminars Reservations Start in February 2019! 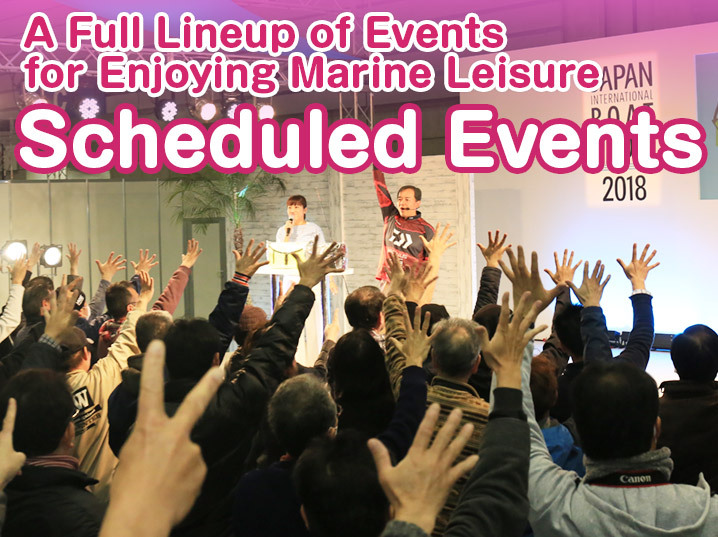 An array of seminars are once again lined up this year to show you new ways to enjoy marine recreation. Large cruiser, sailing cruiser and mini-cruising for “Paper Captains” are planned. More Than Just Boat Displays! Boat Show 2019 Official Website opens! The Japan International Boat Show 2019 will be held from March 7 to 10, 2019. Here on the official website, we’ll be providing a steady stream of information about exhibits, events and more.